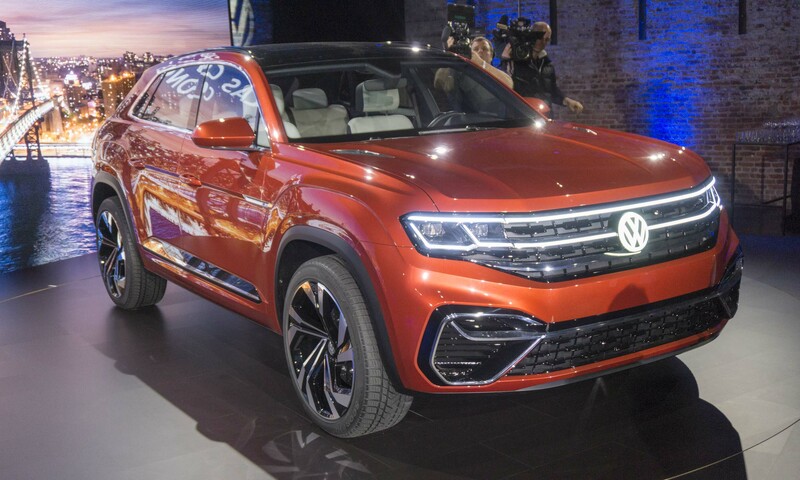 In 2017 Volkswagen introduced its largest SUV yet, the 7-passenger Atlas. 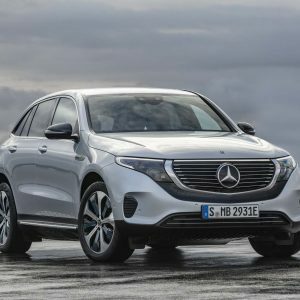 Now the German automaker is iterating on this new large platform with the debut of a new 5-passenger concept vehicle, the Atlas Cross Sport Concept. 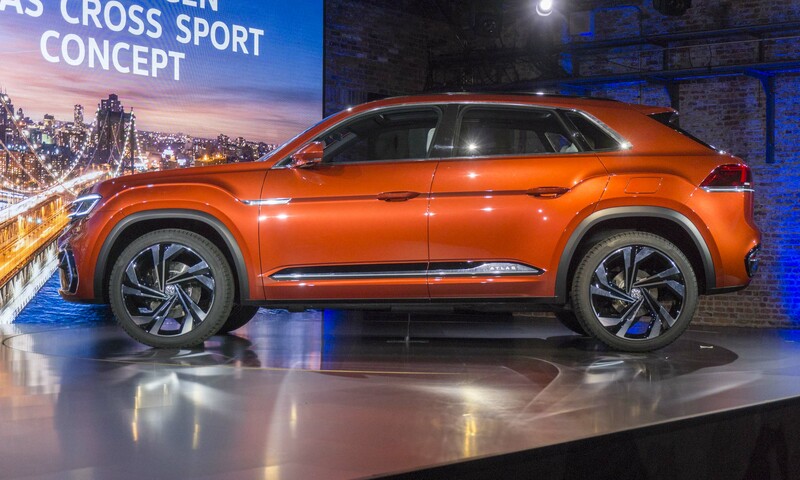 Showcased at a special event on the eve of the 2018 New York Auto Show, this stylish concept provides a first look at an upcoming production model expected to arrive next year. 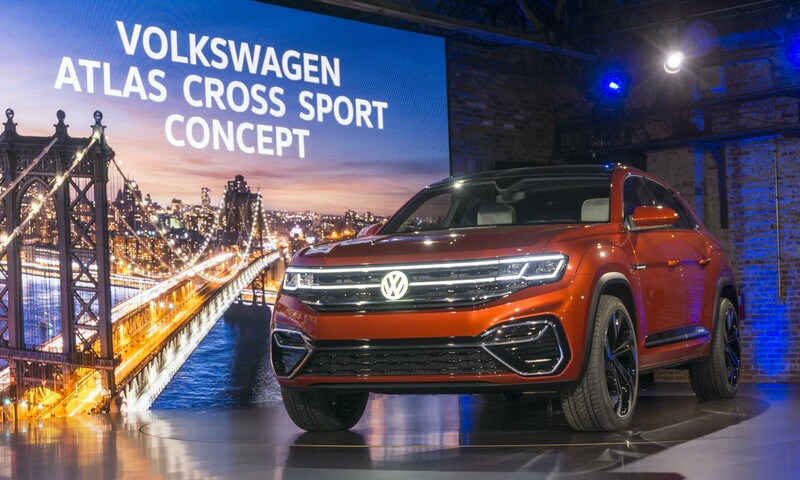 The Cross Sport Concept maintains the same long wheelbase as the 7-passenger Atlas, but the vehicle is 7.5-inches shorter in overall length. 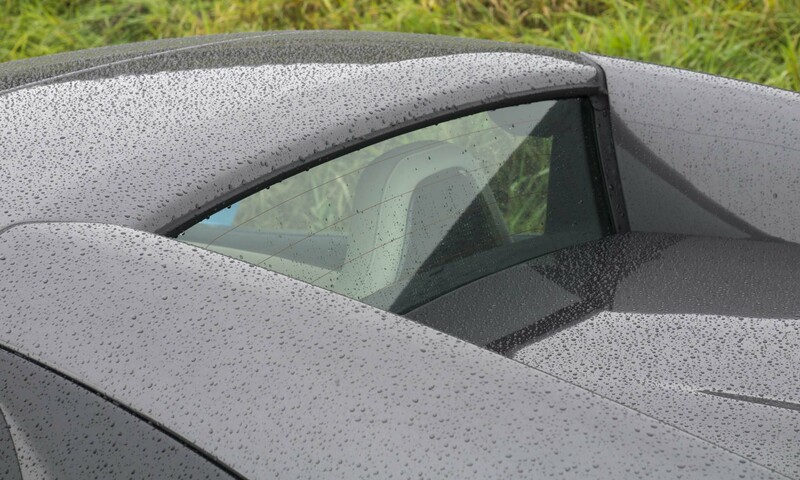 This results in shorter front and rear overhangs, giving the concept a more sporting silhouette. 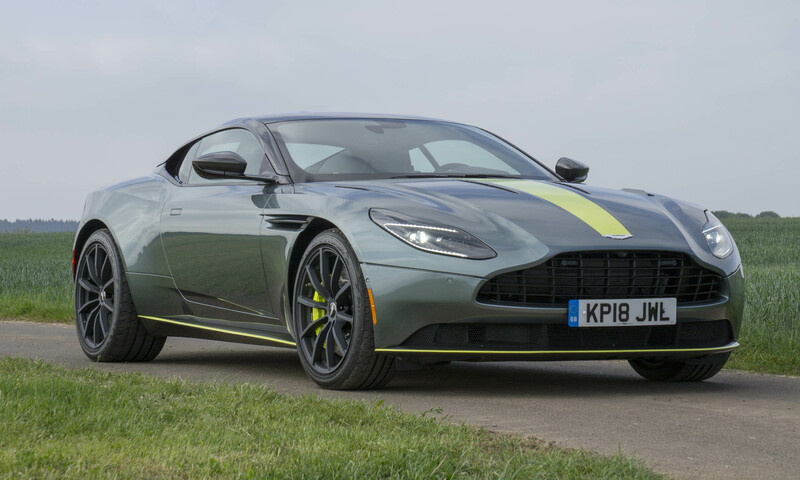 Further enhancing this style is the coupelike profile, bold fender flares and the concept’s 22-inch alloy wheels. Up front, the Cross Sport Concept gets a two-bar grille as opposed to the three bars on the larger Atlas. 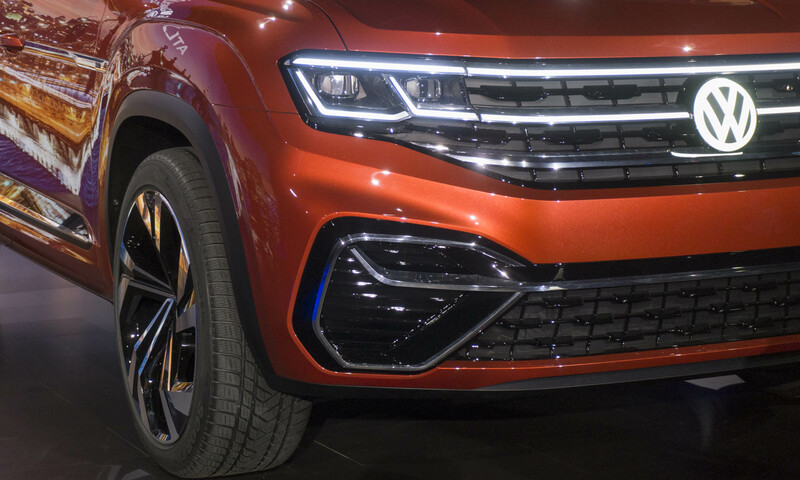 The LED headlights and running lights are integrated into the grille design and — to make this concept stand out even more — the grille crossbars are also illuminated to provide a unique look at night. For the Cross Sport Concept, Atlas designers created character lines that flow from the grille through the wheel arches to the rear hatch. 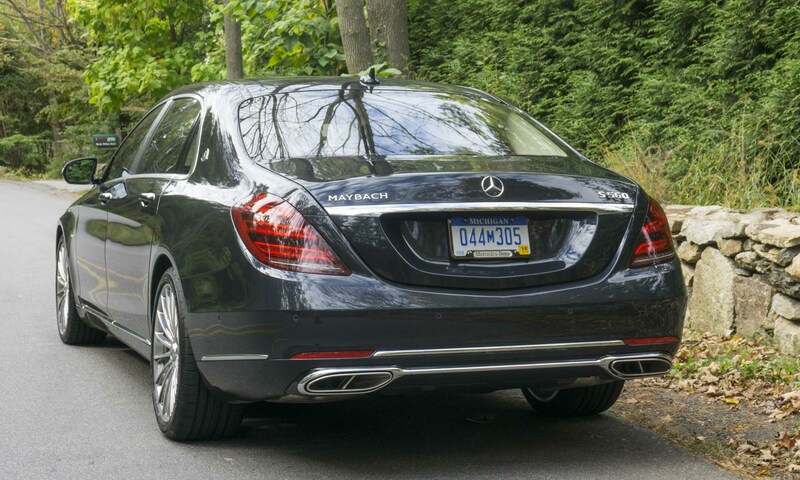 There the line stands out in an aluminum band that runs across the rear, just below stylish LED taillights. 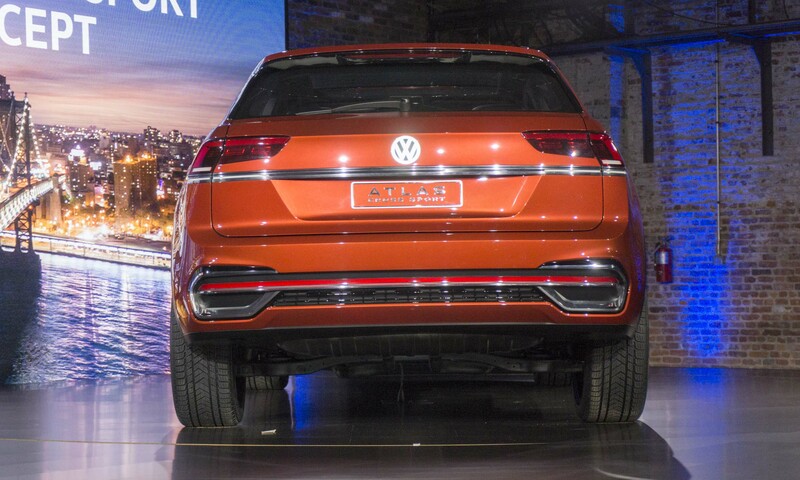 The concept also features an LED-lit VW logo at the rear. The interior of the Cross Sport Concept is predictably futuristic with a 10.1-inch integrated display as the centerpiece of the dashboard. 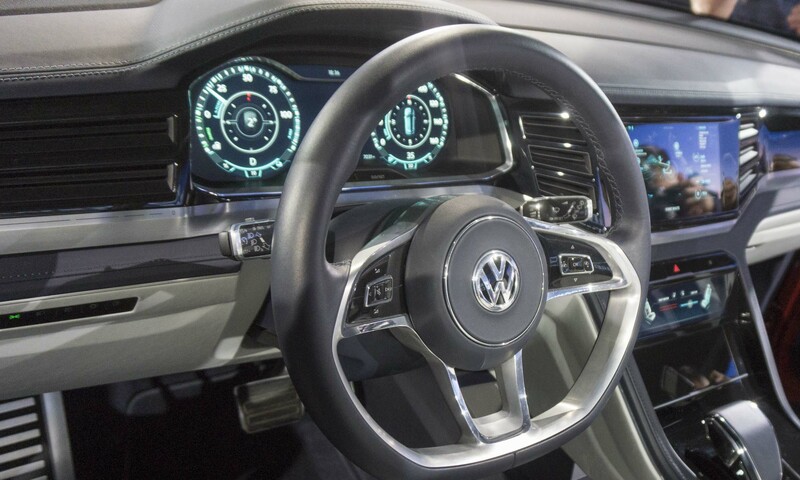 All infotainment and basic vehicle functions are accessed using the touchscreen or gesture control. 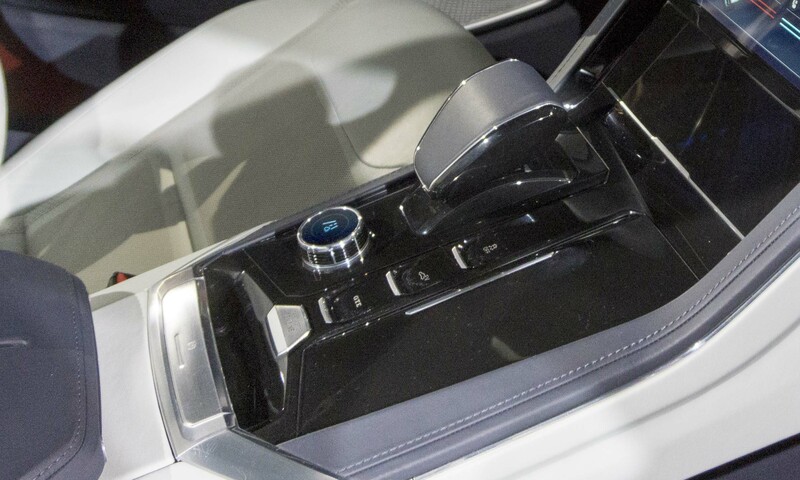 A second touchscreen has climate control settings. 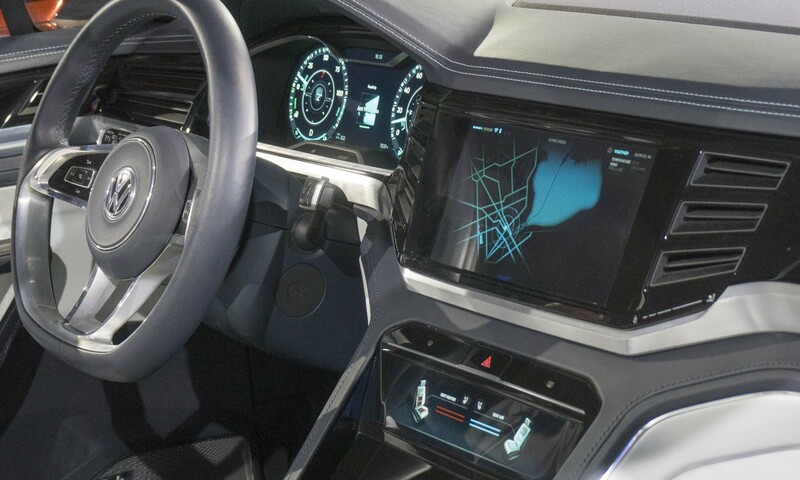 The Atlas Cross Sport Concept also has a high-resolution digital cockpit display in front of the driver that changes configuration depending on the drive mode selected. The display can be configured for navigation, driving information or other functions as needed. 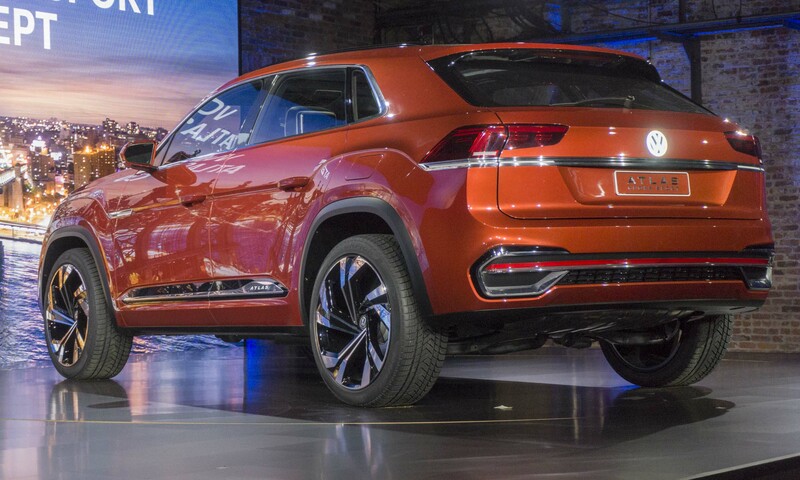 Volkswagen gives this 5-passenger concept a powerful plug-in hybrid powertrain that employs the 276-horsepower V6 engine found in the 7-passenger Atlas combined with two electric motors — one in front, one at the rear. 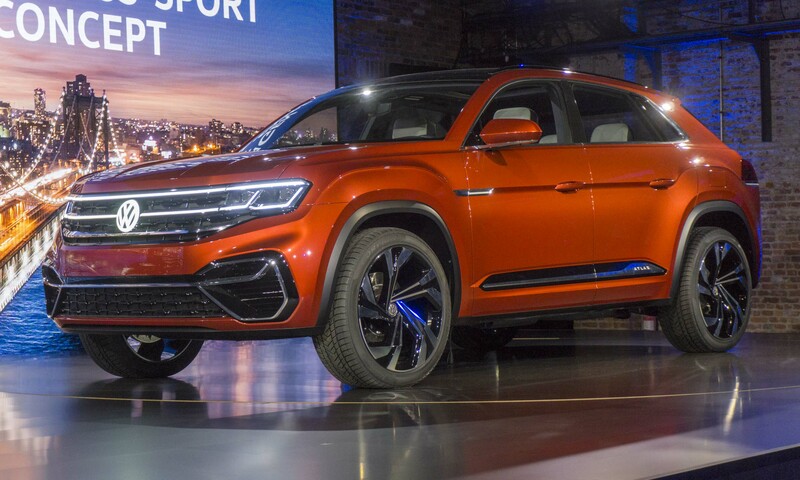 Combined power is rated at 355 horsepower, and VW estimates this crossover could sprint to 60 mph in 5.4 seconds and would have an electric-only range of 26 miles. 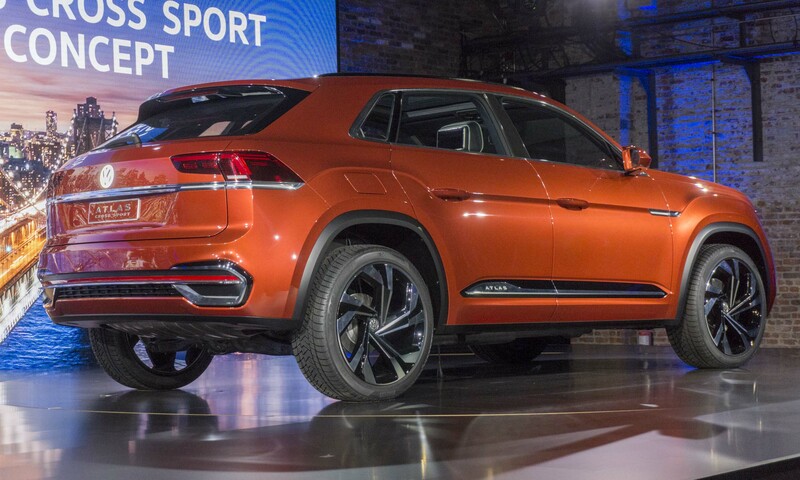 This Atlas Cross Sport Concept could also be equipped with a mild-hybrid system that uses the same V6 and electric motors but with a smaller battery pack. 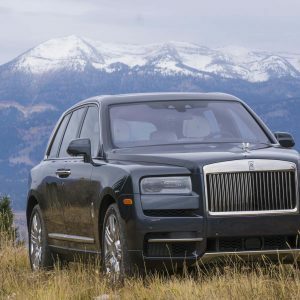 Power would be rated at a still-impressive 310 horses. The Atlas Cross Sport Concept could be driven in one of five modes that emphasize efficiency, performance or off-road capability. 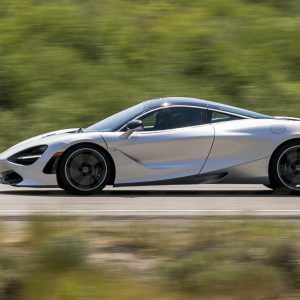 For example, in GTE mode, shift points and steering input are adjusted for better performance, and the two electric motors along with the V6 are used simultaneously, delivering up to 494 lb-ft of torque. Also designed to handle rough terrain, the Cross Sport Concept’s Off Road setting keeps power directed to both axles. 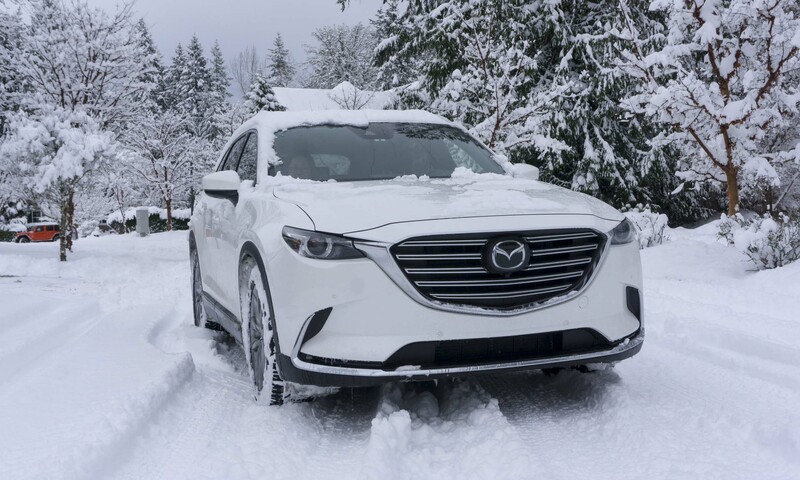 If the battery is low, the gas engine can send power to the rear electric motor to ensure that all-wheel drive is continuous. 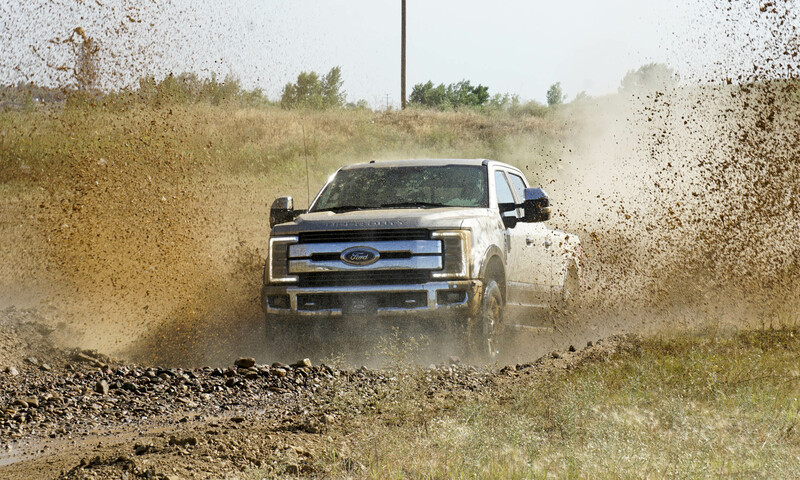 Equipped with 4MOTION Active Control, the concept offers seven off-road settings. While the Atlas Cross Sport Concept provides an indication of what we can expect in the new 5-passenger Atlas coming next year, consumers will have to wait and see how much of the concept’s style, features and powertrain end up in the production vehicle. But the concept looks quite attractive, so there is hope that the production model’s design won’t change much.